Yesterday's afternoon talk about The Gardener's World of Hardy Bulbs for the Long Island Horticultural Society went very well. As I had anticipated, I was somewhat fatigued by the long drive out and had requested overnight accommodation. My hostess, Barbara and I were so sympatico you would have thought we were old friends rather than new acquaintances. 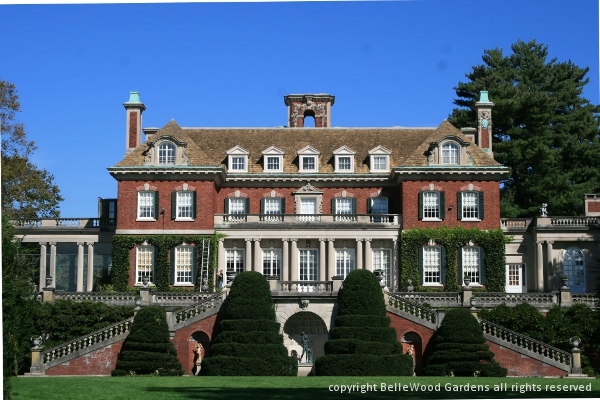 And after a delicious breakfast of French toast (with maple syrup, no less) she asked if I'd like to visit Old Westbury Gardens. 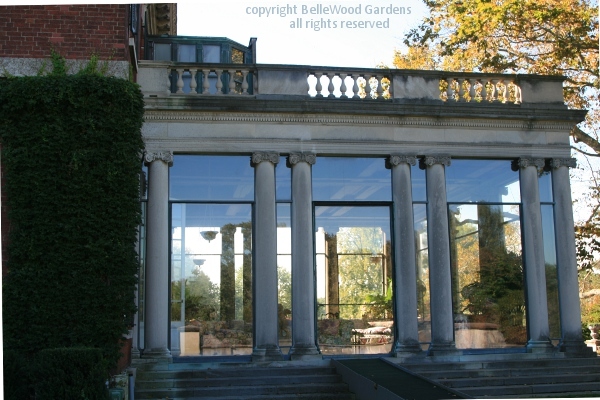 Barbara has been a docent there for a number of years so is quite familiar with both mansion and gardens. It was a beautiful day, the sun was shining, and it didn't take any time at all for me to decide that this was the best way to start home, by visiting a grand and glorious garden. When Mr. Phipps proposed to Margarita, back in 1903, she wasn't sure if she wanted to accept. Moving from England to America would be a great change. Promising to build her a home that, while different from her family home at Battle Abbey, would be a home as welcoming as that of her childhood. And that convinced her. Completed in 1906, the splendid mansion is a beautiful example of Restoration style, the period that began in 1660 when Charles II returned to England and became monarch. [It was in the mid 17th century that Charles II, desirous of emulating, if not outdoing Louis XIV, had mathematician, scientist and polymath Sir Christopher Wren as his architectural genius.] One problem, Long Island is flat and Battle Abbey is hilly. Not a problem, he assured her. The mansion was built with the basement and foundations above grade. Then the excavated earth was graded up to the first floor, creating a gentle rise and sweeping vistas. 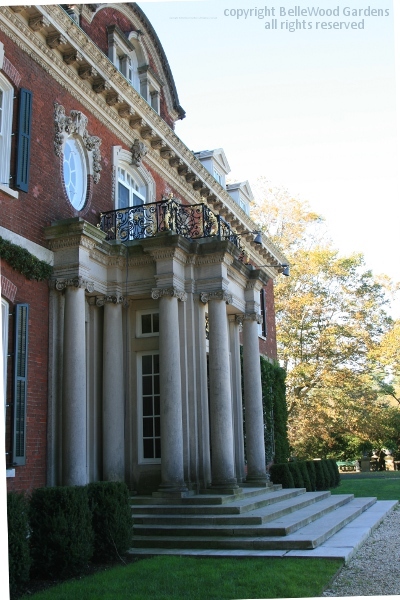 Westbury House was home to the Phipps family for 50 years. 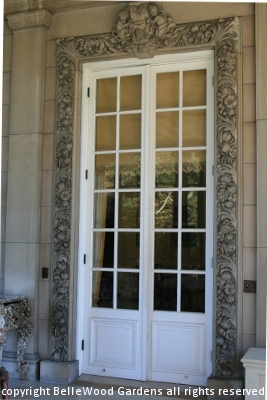 The elegant front entry, appropriately so for the sumptuous style of the mansion. in New Orleans, is the only other place that I know of. A dining room's glass wall was said to sink down. 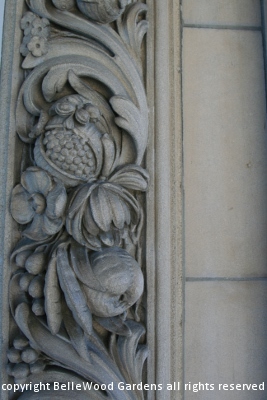 The doorway from sunroom to the house has a magnificent stone frieze, carved fruits and flowers in abundance. 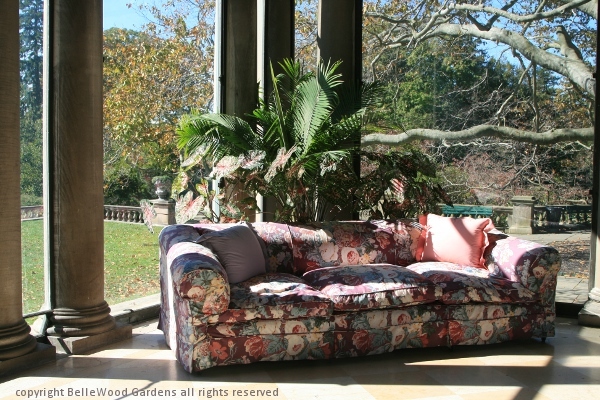 The windows are kept so clean that from inside the sunroom it appears as if there is no separation from the outdoors. 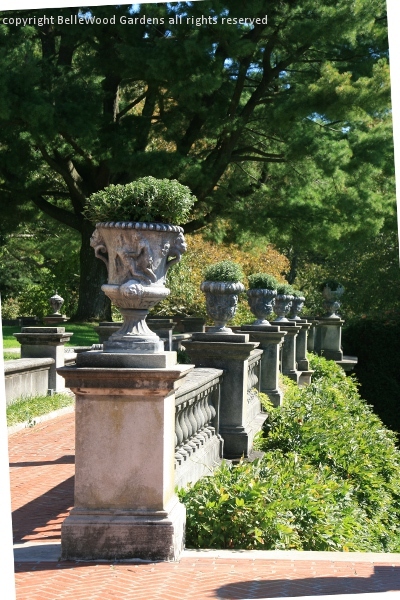 A grand terrace sweeps across the back of the mansion, substantial pillars supporting urns filled with seasonal plants. Two lavish staircases descend, left and right. 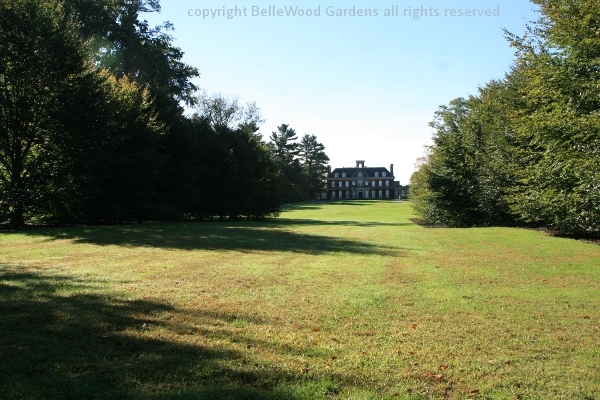 Clearly, Margarita did get the house on a hill that John Phipps promised to her. Now that we're here, let's explore the gardens and their plants.